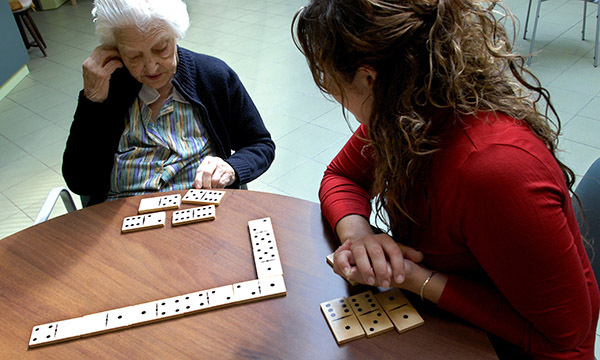 Pathological changes in people with Alzheimer’s disease develop years before clinical symptoms. The medial temporal lobe, which plays an important part in memory, is an early site of neurofibrillary tangles and atrophy. This study examined accelerated long-term forgetfulness, where new material is retained for the 30 minutes used in standard memory tests, but forgotten at an abnormally rapid rate over the following hours to weeks. The participants were 35 people with a parent who had autosomal dominant Alzheimer’s disease and who had a 50% chance of developing the condition, but no symptoms at the time of the study. Of participants, 21 were known to be carriers of the mutation. When tested after 30 minutes there was no difference in recall between those known to carry the mutation and the others. However, the proportion of material recalled at seven days was lower in carriers than non-carriers. This accelerated long-term forgetting was greater in carriers nearer to their estimated age at onset of disease. The participants also completed a questionnaire rating subjective views of their memory. Those who carried the genetic mutation had poorer subjective memory scores than those who did not. Accelerated long-term forgetting is detectable several years before the onset of symptomatic disease so it could be a useful inclusion in measurements of pre-symptomatic Alzheimer’s disease. Weston P, Nicholas J, Henley S et al (2018) Accelerated long-term forgetting in presymptomatic autosomal dominant Alzheimer’s disease: a cross-sectional study. The Lancet. Neurology. 17, 2, 123-132.